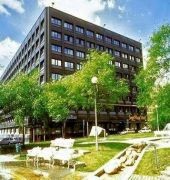 The 4 star hotel is located in the city centre of Stockholm and was established in 1984. It is close to the Old Town and the nearest station is T-Centralen. 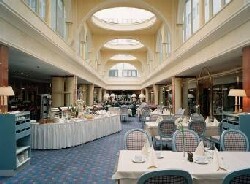 The Hotel has 2 restaurants, 2 bars, a conference room, a coffee shop and a fitness centre, gym. 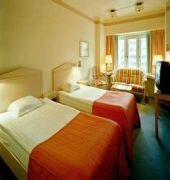 All 403 rooms are equipped with minibar, hairdryer, trouser press and ironing set. 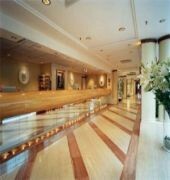 Scandic Sergel Plaza rooms have wooden floors, a desk and movies on demand. The bathrooms include a bath tub. Some rooms have a seating area. 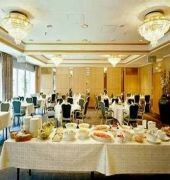 The generous breakfast buffet includes gluten-free and lactose-free options, as well as home-made honey from the hotel rooftop bee hives. Fairtrade coffee is always available at Scandic Sergel Plaza Hotel. The children playroom has videos, toys, books and games. Baby strollers can be borrowed at reception. Guests also have free access to a gym room.